On November 21, 2005 my wife Heather and I found our world turned upside down when she was diagnosed with malignant pleural mesothelioma. Just three months prior, we had celebrated the birth of our only child, our daughter Lily. 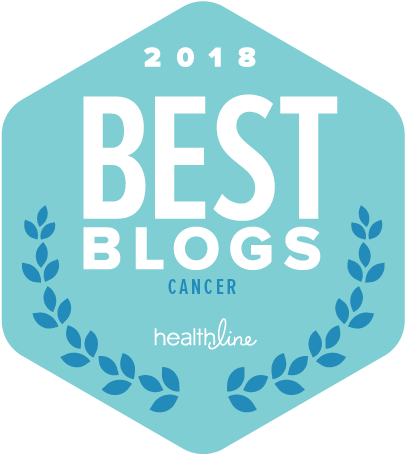 At a time when we thought that we would be getting used to our new role as parents, we found ourselves struggling with the cancer diagnosis and our new lives. 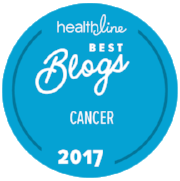 Heather and I struggled with the chaos that came with the cancer diagnosis. Originally, Heather was given 12 to 15 months to live. We could only plan our lives from one medical appointment to the next. We ended up traveling halfway across the country for surgical treatment. Heather underwent an extrapleural pneumonectomy; a surgical treatment involving the removal of a lung, a portion of the diaphragm, and the linings of the lungs and heart (parietal pleura and pericardium). The surgery was over in eight hours and it took her months to recover enough to then undergo chemotherapy and radiation. Over the next few years, while learning to be a better caregiver to Heather and dad to Lily, I returned to school full time to chase my dream job. I worked full time, went to school full time and graduated with high honors at the top of my class in June of 2010 with a Bachelors of Science in Information Technology. Today Heather and I write and speak about our experiences, Heather as a cancer patient and advocate, and I as a caregiver. We are both active in the mesothelioma community fighting for an asbestos ban in the U.S and working toward a cure for mesothelioma. What Does Being a Caregiver Mean? I have always struggled with the term caregiver; I didn’t even think of myself as one until sometime after I had been caring for my wife when a friend used the term to describe my actions. I always thought I was just being a good husband or father, not as a caregiver. When the friend used the term I though “caregiver: person who gives help and protection to someone (such as a child, an old person, or someone who is sick)” yeah – that fits. In the case of my wife, her cancer diagnosis meant she was going to be spending 100% of her time and energy fighting the disease. As a caregiver, I was going to help her with this battle, and then take over everything else so she could focus on fighting mesothelioma. Again, I just thought of it as being a good husband, I keep thinking of the passage in our wedding vows “in sickness and in health.” This was the sickness part. I have been a caregiver multiple times and my greatest challenge varied each time. Years ago, I helped care for my father as his health declined due to Parkinson’s Disease and Alzheimer's. The progression of the diseases was not very fast at first; we had time to plan. My family had time talk about their hopes and fears, to plan for my father’s care as the diseases progressed. The hardest challenge I faced when caring for my father was communicating with my siblings. My wife’s cancer diagnosis was sudden, and not in our plans. Our plans were for us to be celebrating the birth of our daughter and acclimating to our new parental roles. Our lives changed in one doctor’s appointment. I found myself emotionally stuck on anger and struggling to cope with the dynamic and unpredictable environment of living from one doctor’s appointment to the next. It took me some time before I was able to adapt as quickly as the environment we found ourselves in. I believe each caregiving experience is unique and comes with its own set of challenges. Part of being a successful caregiver is being able to adapt quickly and learn from your mistakes, not dwell on them. How do you keep yourself sane while you’re always caring for and being supportive of someone else? That is a great question and something I see many caregivers struggling with. My top piece of advice for caregivers it to take care of yourself; Put your health first. Make sure you are getting plenty of rest and eating properly. I like to remind caregivers to take time out for themselves. You’ll feel better and be able to offer better care if you do; and remember, you are human. Caregiving can be stressful, allow yourself to make mistakes or to have an off day. Spend time with friends and socialize. Keep up your hobbies – try to keep as normal as schedule as possible. Sometimes caregivers feel guilty when they take time for themselves. If you find yourself feeling guilty remind yourself that taking time for yourself today can actually help you be a better caregiver tomorrow. Also if anyone offers to help, take them up on the offer. It will be one less thing for you to worry about, and it will remind you that there are people who care about you, love you. Sometimes just knowing you have a safety net of people who care about you makes all the difference. Mesothelioma Awareness Day is a day to raise awareness of mesothelioma, a deadly cancer caused by exposure to asbestos. Every year around 3,000 people are diagnosed with mesothelioma, on average, they are given 10 months to live. Most people do not know asbestos is still not banned in the US. and about 30 million pounds are still used each year. Even more than 30 years after the peak of its use, asbestos exposure is still the number one cause of occupational cancer in the US. Asbestos can still be found in many homes, schools, and commercial or industrial buildings. Asbestos was once used in more than 3,000 consumer products including many household items – some of which may still be in use. No amount of exposure to asbestos is safe. This year to celebrate Mesothelioma Awareness Day my wife and I will be participating in the 8th Annual Alton Miles for Meso 5K Fun Run/Walk Saturday Sept. 24 in Alton, Illinois. Since 2009, this event has raised $155,000 for mesothelioma research. As well as raising awareness of mesothelioma and funds to help advance research and work toward a global ban on asbestos, I enjoy spending time in the mesothelioma community, especially on Mesothelioma Awareness Day. The people I have met in the mesothelioma community have become like family, as we can relate to similar struggles after a diagnosis. Because this cancer has had such a big impact on my life, I want to spend this Mesothelioma Awareness Day with other whose lives have been impacted by the disease fighting to raise awareness and money for a cure.